A major storm system will push into the Upper Midwest on Christmas Eve night and could cause some major travel headaches with snow, ice, rain, and even thunderstorms. 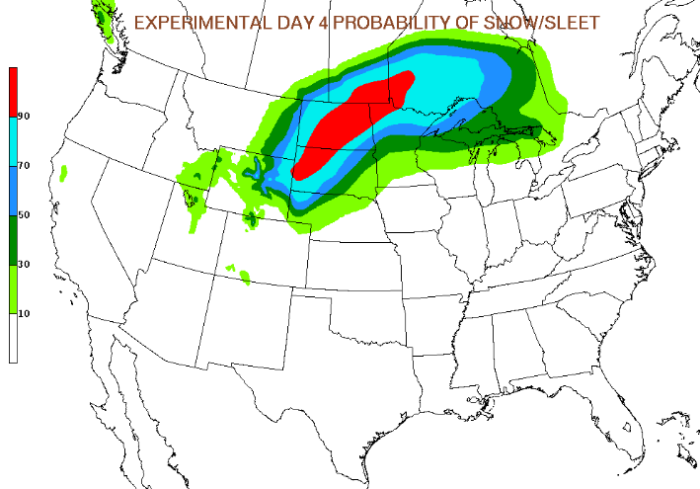 A Blizzard Watch has already been posted for much of North Dakota and parts of western South Dakota. Heavy snow is possible for these locations. Also, very strong winds will accompany this system, so dangerous blizzard conditions are looking likely for parts of the Northern Plains. 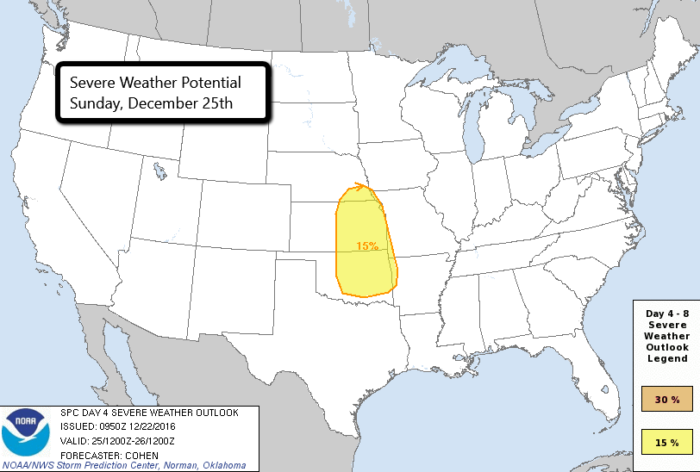 Elsewhere across the region, a more complex forecast is setting up. From Sioux Falls, SD to Minneapolis, MN and Green Bay, WI, a wintry mix will move in late Saturday night and continue into Christmas morning. Upper level temperatures will be warm enough that snow will melt as it falls, but temperatures at the surface will be at, or just below, freezing. This will set the stage for a potential ice event. The good news is that warmer temperatures will surge into the area by late Sunday morning, turning all precipitation over to rain. As the low pressure center moves northeast across Minnesota, a cold front will swing through the region. This will cause temperatures to drop below freezing. Any wet, untreated roads will become icy late Sunday night and Monday. 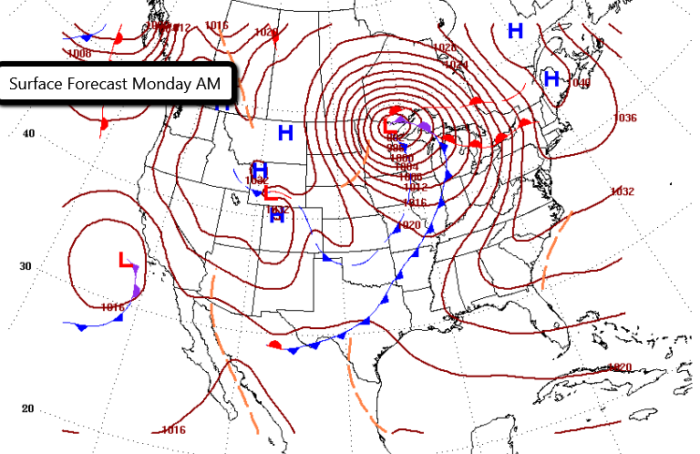 Farther south, this dynamic system could spark severe weather for parts of the Central Plains. Strong storms will be possible from southeastern Nebraska to eastern Oklahoma, with damaging wind gusts the primary concern at this time. This storm system is still a few days out so exact details will likely change as we get closer to the weekend. Keep checking with your local NWS office for the latest forecasts and, as always, follow us on Twitter!